Blurring the lines between interactive art and games, Contre Jour showcases a beautiful but haunting world shaped by the interplay of light and darkness. N8 Fan Club. Utilizing intuitive touch controls and set against a poignant orchestrated score, you’ll guide a mysterious creature through organic and machined levels by manipulating the very environment itself. Modojo said Contre Jour is “definitely one of the best looking titles on the App Store. 5/5.” Compatible with S^3 / Anna / Belle Smart Phones. Contre Jour is French which, when translated into English, means ‘against day’. It’s also a word used in photography and refers to photographs taken with the light source directly behind the subject, creating silhouettes. This is a game where the visual element is very much as important as the gameplay itself. The scenes are dark, with light focusing on certain areas of the screen that give a real contrast to all the different action points on the screen. The aim of Contre Jour is to guide the little blob with a giant eye to safety, collecting various sparkly things on the way to the giant glowing orb on every level. N8 Fan Club Rocks. All this would be easy if there weren’t giant gaps, bottomless pits, and Venus flytrap-looking nasties getting in the way. Plus, you’ve got no arms or legs, so navigating a treacherous landscape is a challenge to say the least. Thankfully, there are plenty of tools at your disposal. N8 Fan Club Rocks. The sticky, stretchy tentacles that can be found hanging around can be used to slingshot you from one area to another, while the other not-so-stretchy tentacles can be just as helpful, offering more control. Mounds of earth can be manipulated to a certain degree to get your blob (actually named Petit) moving and to give you a little more help when trying to jump a gap. This is a beautiful game all around. Not only does it look good, but the original orchestrated soundtrack comes from composer David Ari Leon – best known for writing music that can be heard in Spider-Man and Incredible Hulk. For the best possible experience, lock yourself away, turn off the lights, plug in some headphones and play. Contre Jour won’t disappoint. 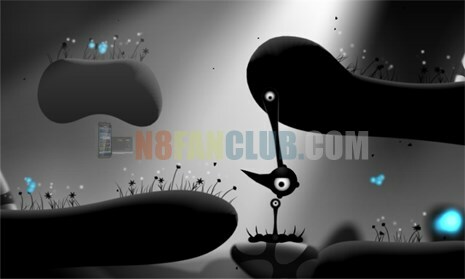 • Stunning visual style places Contre Jour in a N8 Fan Club league of it’s own – simply one of the most beautiful games of the year. 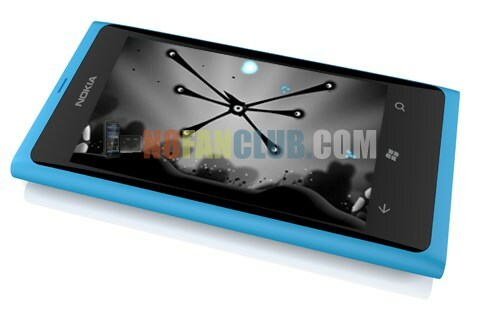 The game now works perfect on Nokia N8 (Belle Refresh / FP1) N8 Fan Club & Nokia 808 PureView (Belle FP2) while Screen flickering bugs with Belle FP2 on Nokia 808 PureView have been fixed.